Bailey Custom Woodworking (previously Bailey Hardwoods, Inc.) was founded in 1983 by Tom Bailey. After Tom retired in 2006, his daughter Jennifer (Bailey) DeSart, purchased the family woodworking company. Having worked in the business since she was 12 years old, she understands the hands-on attention needed for every custom woodworking project. 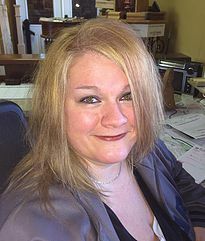 Jennifer continues the family tradition of being the premier custom woodwork manufacturer in central Illinois. 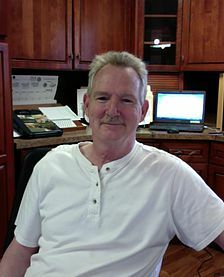 Tom, our lead custom carpenter and shop forman, has been with the company since 1985. He personally oversees and manages all of our custom woodworking projects, and puts his own exceptional woodworking talents to work for our customers. We have yet to find a custom woodworking project Tom can’t complete. 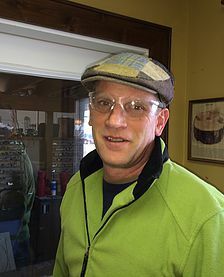 Duane has been a custom woodworker with Bailey Custom Woodworking since 1984. An excellent artist and craftsman, Duane takes pride in his carpentry skills and beautifully fulfills any challenge a customer might request. 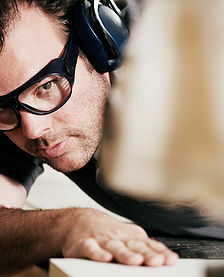 Chris Austin is yet another excellent custom woodworker who has been with Bailey Custom Woodworking since 1996. He has a special understanding of the challenges of home remodeling and applies his knowledge to build one-of-a-kind woodworking products our customers appreciate. 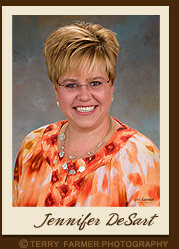 Office manager Dawn Cox has been with Bailey Custom Woodworking since 2006. Running our office and keeping our books to designing a custom closet, she can get ‘er done.